Through the Buena Salud Americas Initiative, the National Alliance for Hispanic Health (The Alliance) and the Pan American Health Organization (PAHO) have reaffirmed their commitment to join their efforts to achieve health for all in the region of the Americas. To maintain the momentum from the Buena Salud Americas joint leadership meetings held in conjunction with the Ministry of Health of Colombia in 2013 and the Ministry of Health of Mexico in 2015 addressing community initiatives for the prevention and control of non-communicable diseases (NCDs); in 2016 the Alliance and PAHO have partnered with the University of South Florida (USF), and the Panamanian Ministry of Health, with support from the Healthy Americas Foundation, to convene the third joint leadership meeting to support multi-sectorial collaboration to address cancer and HPV under the Regional Strategy and Plan of Action for Cervical Cancer Prevention and Control. The focus of this gathering is to establish a joint action plan and help build the capacity of community-based organizations and civil society groups in the Americas to address cancer and HPV. The sessions will focus on building local capacity through advocacy training of community leaders, development of strategic partnerships, and showcase successful practices in the reduction of the burden of HPV related cancer in the Americas. 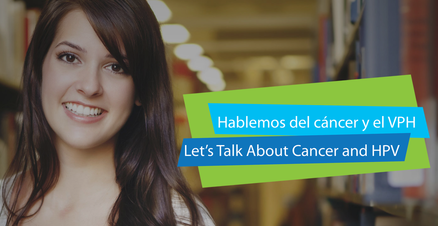 Showcase government/community advocacy efforts in the implementation of policy addressing HPV and cancer in the Americas. Increase knowledge base on capacity building for advocacy and strategic partnerships at the grassroots level to maximize the impact on the prevention of cervical cancer and HPV-related diseases. Identify priority opportunities for collaboration and multi-sector partnerships addressing prevention and control of cervical cancer and HPV-related diseases in the region of the Americas.